These thirty stories and poems have a tidal pull that will upraise your mind in a celestial rhythm as smooth as the phases of the moon. The gravity of this anthology will draw you fast through dynamic alternate possibilities-from the gibbous tales of D. L. Young's The Reader and Lilia Fabry's House of Tin, to the crescent stories of Imaginary Numbers by Corinn Heathers and The Color of Silence by Mandy Broughton-and set you safely among cerebral poems like those of Richard King Perkins II and John Grey. 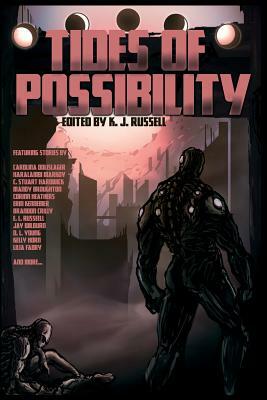 Proudly independent, Tides of Possibility has been produced thanks to generous crowdfunding and hard volunteer work by the Houston Writers Guild, from SkipJack Publishing. It is an anthology from the future, where independent publishing is the powerhouse of the industry, and its writers are the voices of tomorrow.